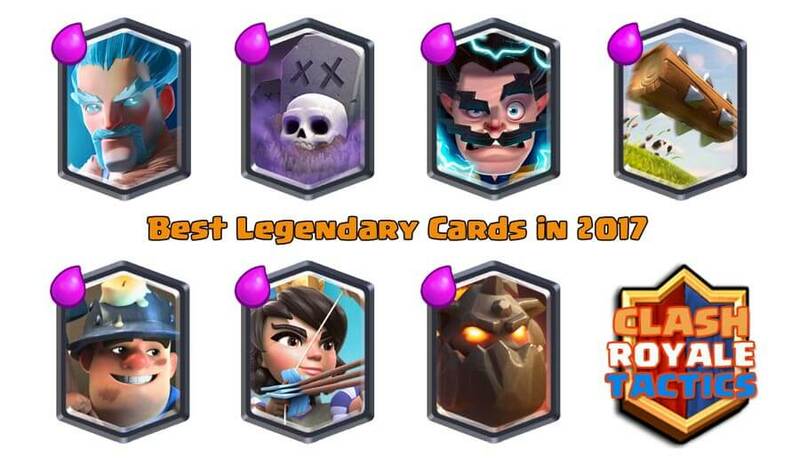 This is a ranking of all Clash Royale cards based on how popular they are among top 100 players June 2016. The popularity among top 100 players is a good indication of how good the cards are. I am planning to do one of these card ranking articles every month, and if you’d like to see that, please let me know by leaving a comment below. I will start with the worst cards and move up from there. The worst cards are not used among top 100 players at all, so I will rank these based on my own opinion of these cards. Also, whenever two cards are used the same number of times I will rank them based on my preference. Let’s start! This card is expensive and slow. It is hard to find a good time to play this card. 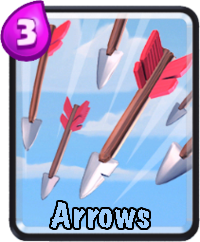 This is in my opinion the worst card of the game right now. 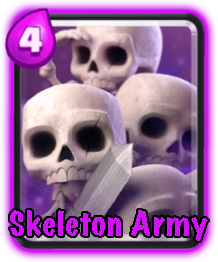 Skeleton army counters the prince really well, but that’s about it, I never use this card. Noone in the top 100 used this card. I don’t like using it either. 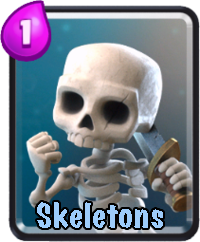 Spawner decks are boring to play and don’t do well at higher arena levels either. 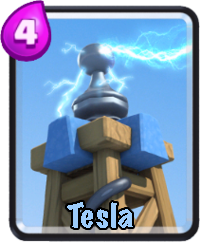 This card is just too easy to counter compared to the 4 elixir cost. The guards are decent, I’ve used them a couple of times and did well with them. Noone in the top 100 is using them though. 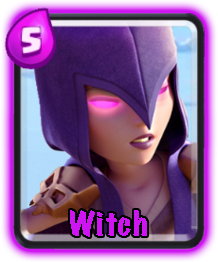 The witch is an ok card at lower arena levels. 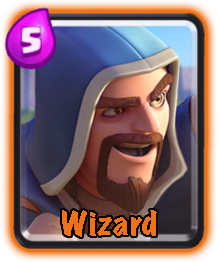 The wizard is a decent card, I’ve never really gotten him to work in any of my decks though. I would rather counter barbarians with barbarians than a wizard. 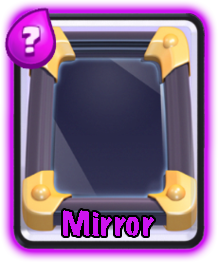 The mirror doesn’t fit in many decks these days, that’s why noone in the top 100 is using it. Annoying and boring card, but it can win you games. 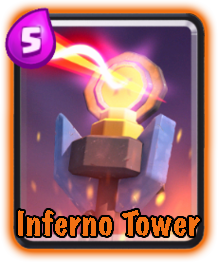 The inferno tower is strong at lower arenas. It’s high elixir cost makes it less competitive at higher arenas however. 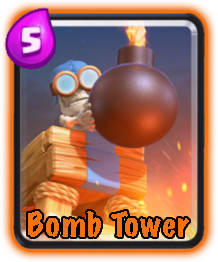 The bomb tower is really strong at lower arenas. It can be very hard to get through it and damage the enemy tower, as the bomb tower has a ton of hitpoints. At higher arenas however it doesn’t work too well. 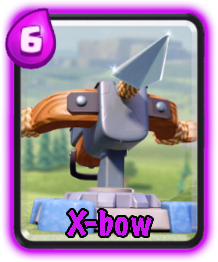 I really don’t like the x-bow, but one top 100 player is using it, that’s why it’s in 43. place and not 54. This would be in 53. place if it weren’t for that one top 100 player who is still using it. One player is using the furnace, not sure how he manages to get it to work. 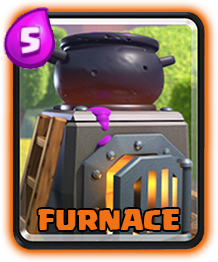 I have tried the furnace in a couple of decks but it never worked out for me. 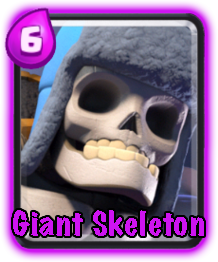 The giant skeleton can be quite strong if you know how to play him. I don’t like slow decks personally so I almost never use this card. The bomber has been buffed a few times recently and is doing much better now. One player is using the rage spell. I don’t know why, other spells are much better. 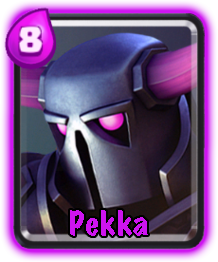 The pekka is big and strong. She will crush anything he gets close to. She is however way too expensive and slow. The tesla was really popular for a while. Then the card was nerfed and everyone stopped using it. Now the card has been buffed a bit, but still it has not regained its former popularity. 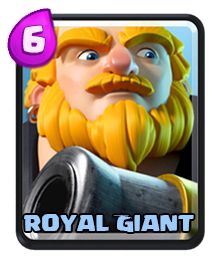 The royal giant is really popular in arena 7, among the top 100 however, not so much. I am not even close to top 100, but I guess the card is just too easy to counter. One player in the top 100 is using the tombstone. The card was recently buffed with some more hitpoints, I guess that is why. Now we are getting to the first legendary at 33. place. 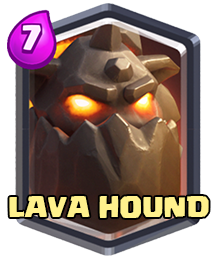 The lava hound is used by two players in the top 100. I don’t face the lava hound much, and whenever I do I usually don’t have any problems stopping it. 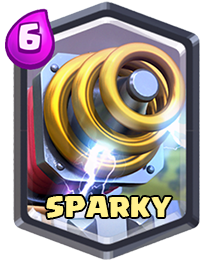 Sparky is really hard to stop if you are not used to it. The top 100 players are very experience players however, and for them I am sure stopping sparky is no problem at all. 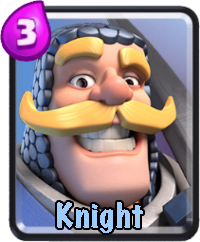 The knight is used by 3 players. He was recently buffed and is very cheap for a tank. 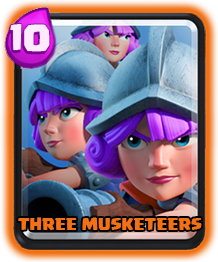 The three musketeers are very expensive at 9 elixir. They used to cost 10 elixir as you can see in my image of them here, yeah I am too lazy to change it. They can be hard to deal with sometimes. 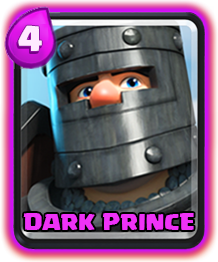 The dark prince has seen a drop in popularity. The double prince deck doesn’t see much play at all these days. It was only used by 4 of the top 100 players. 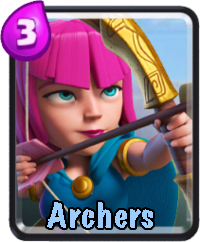 In the next spot we have the archers. They are used by 4 players. 6 players are using the baby dragon. This used to be my favourite card. I don’t use it anymore, but maybe I’ll start putting it in my decks again. 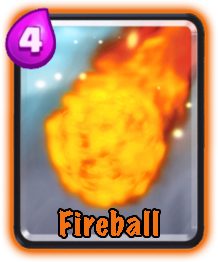 I was surprised the the fireball is not used more. 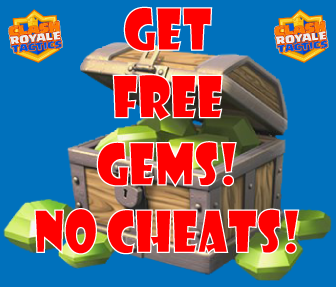 It’s a great way to gain an elixir advantage in many situations. 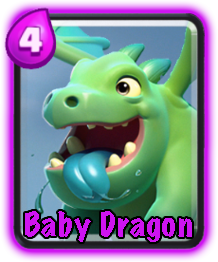 The prince is used by 6 players, just like the fireball and baby dragon. 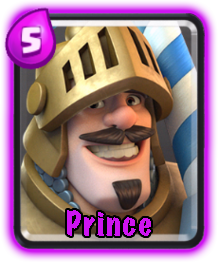 The prince is a really strong card at lower levels, and it still sees play in the top 100. 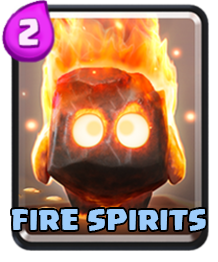 I’ve never gotten the fire spirits to work well, but there are 7 top 100 players that are using them. I guess it just takes some time learning how to get the most out of them. At 23. place we have the ice wizard. 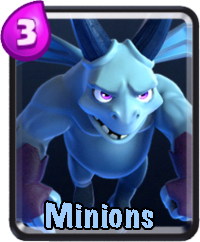 I ranked him as the second best legendary card in an article recently. 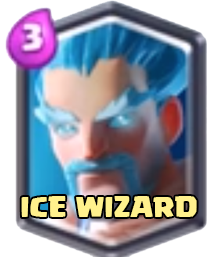 At only 3 elixir the ice wizard gives a lot of value. 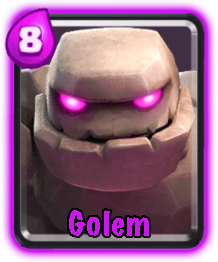 The golem is still going strong with 11 players using him in their decks. Even though the golem is very expensive the potential damage he can deal makes up for it. 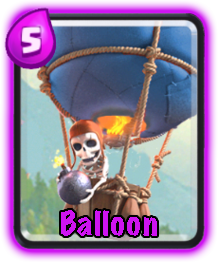 The balloon is another card that has seen some buffs recently. With the recent buffs it is seeing quite a bit of play among the top players. 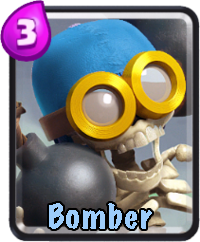 12 players had the balloon in their decks. At 20. place we find the giant. 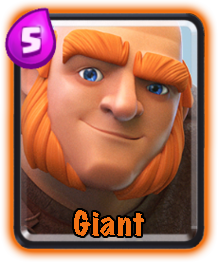 He is obviously much more popular than his cousin, the royal giant. The giant has a ton of hitpoints and take a long time to kill. 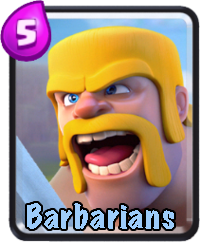 13 players are using the barbarians. 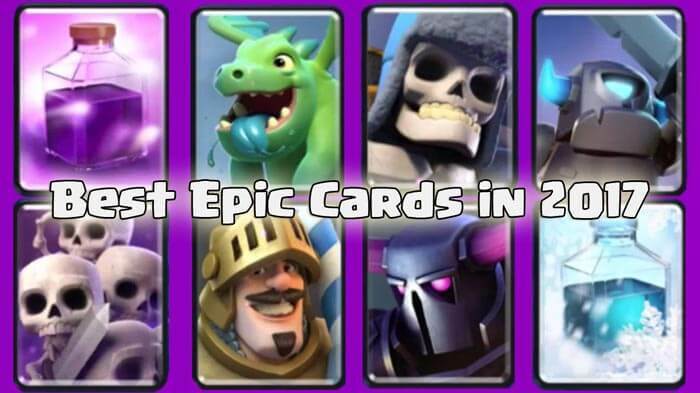 They still provide a lot of value for 5 elixir. 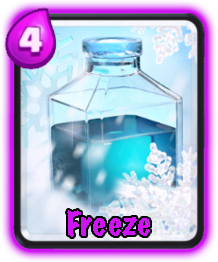 Freeze was nerfed quite a lot recently seeing the duration decrease by 1 second. That is around 20% which is a lot. Even so, 14 players are still using it in their decks. I was surprised seeing lighting as high up as this. In my opinion fireball is a much better spell, but top 100 players do not agree. 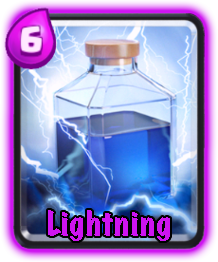 Lightning was used in 15 decks. 16 top 100 players are using arrows. The most basic spell is popular all the way from low levels and up to the top. The classic arrows vs minion horde do give you 2 in elixir advantage after all. 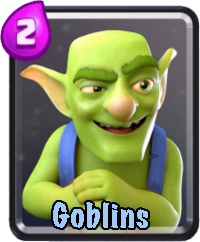 We see the spear goblins in 20 decks. 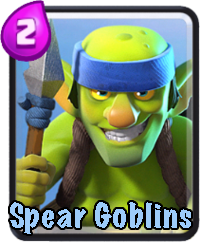 I use spear goblins in most of my decks as well. They are cheap and versatile. The valkyrie is seeing more and more play after the recent buffs. Right now the valkyrie provides a lot of value. High splash damage combined with lots of hitpoints makes her very strong. 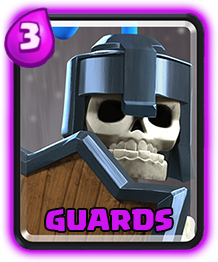 24 players were using the musketeer in their decks. That is almost a quarter of the players. 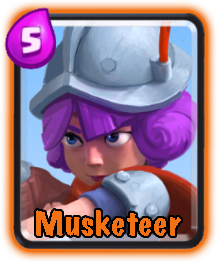 The musketeer deals high damage and can often kill troops while staying out of range herself. 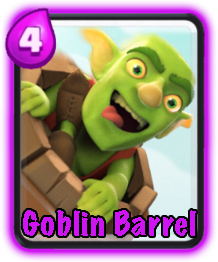 Goblins are cheap and deal a ton of damage. If you can manage to get another troop to tank while they goblins deal damage you will do really well. 34 players are using the miner now. 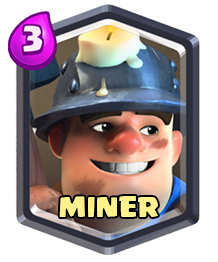 This is something that really surprised me as I have not had much problems countering the miner myself. I guess that top 100 players know how to get really good value out of him though. Nothing deals as much damage as the minion horde. 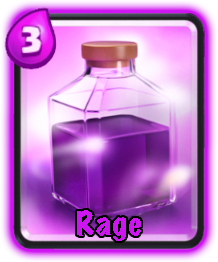 They are quite easy to kill with arrows and other spells, but if you don’t have the right cards to counter them you are in big trouble. 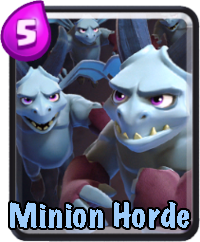 After I got my minion horde to level 10 I have been using them a lot, and they have won me many games. 35 were using this card. Minions were used in 36 players decks. 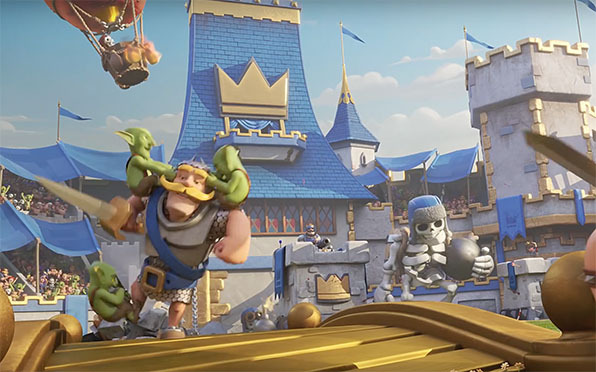 This is often the players who do not use the minion horde, which means that you will see one type of minion flying around in almost every single top 100 match. The minions will also do a lot of damage if you don’t stop them, and they are harder to make a positive elixir trade with. 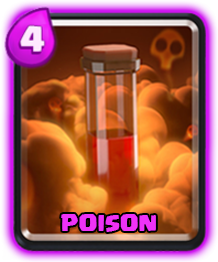 Poison got to be one of my favourite cards. 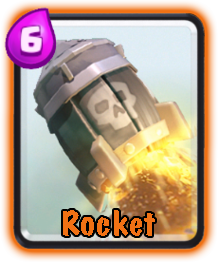 It does the same amount of damage as the fireball, but it slows down troops at the same time and lasts for a long time. It can pretty much shut down pushes and force your opponent to put troops in the other lane instead. 40 players were using this card. 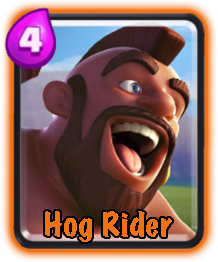 41 players were using the hog rider. 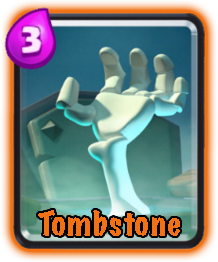 This is a card I use in almost all of my decks as well. 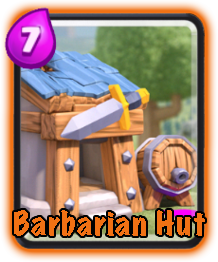 You pretty much have to watch out and counter this card every time it is being played, if not you will lose your tower in no time. Surprisingly half the top 100 players are using the mini pekka. There is nothing wrong with this card, but I just didn’t expect it to be this high up there. What makes the card strong is the high damage it deals compared to it’s elixir cost. If you get it to the enemy tower it will take it down in a couple of hits. 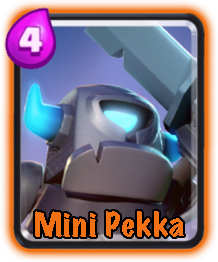 The mini pekka is also great at stopping incoming hog riders. 54 players are using the skeletons. This cheap card is just a great distraction and also a great way to cycle through your deck faster. It fits in pretty much any deck you can think of, and that is why we see it so high in the card rankings. 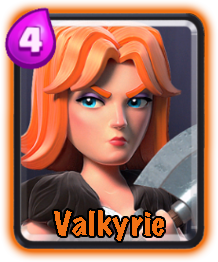 At 4th place we have the princess, clearly the best legendary card out there, and the only one of two cards that I still do not have. 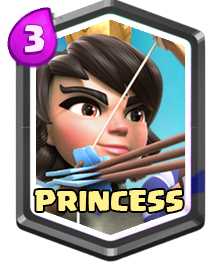 I really hope I get the princess either in the store or in a chest soon as it is a really awesome card. 54 players are using the princess in their deck. 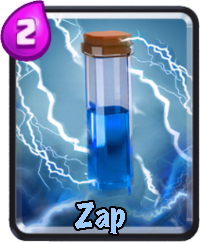 Zap is another cheap and versatile card. 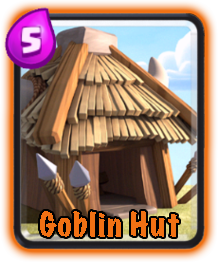 It can be used to stun opponents so you can deal extra damage to their tower, and it is also great in defence. It doesn’t kill minions, but it puts them down in one shot range where you tower can easily take them out. I use zap in almost all of my decks and 65 top 100 players are doing the same thing. 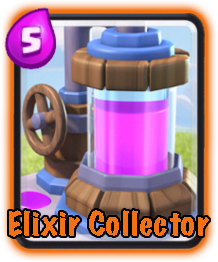 The elixir collector has been nerfed a lot of times, but the card is just too good to drop from most decks. When you are playing against someone at an equal level as you, the one who manages elixir the best will usually come out ahead. 69 out of the top 100 decks had an elixir collector in it. 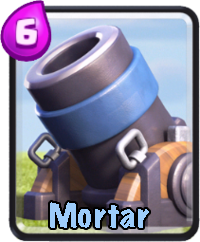 79 out of 100 players at the top were using this card, the cannon! Even after lots of nerfs the card is staying strong. There is simply no other good alternative that fills the role this card does. 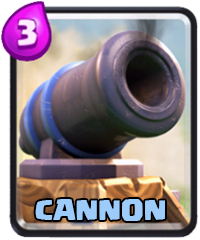 I think the cannon will stay up here for a long time until we get some new cards released that can fill the same roles. I would love to hear what you guys think about this card ranking. Is it something that would be interesting to see once a month? I’m thinking of doing that, but it depends on peoples interest, please let me know, thanks! Number 1, Wow! I didn’t see that coming. when will you post it? Thanks again!! If more than one cards are tied for the same spot, how do you decide which goes first? Then I place the card that I think is best first based on difficulty countering it as well as other factors. Check this video out! Double Prince deck!